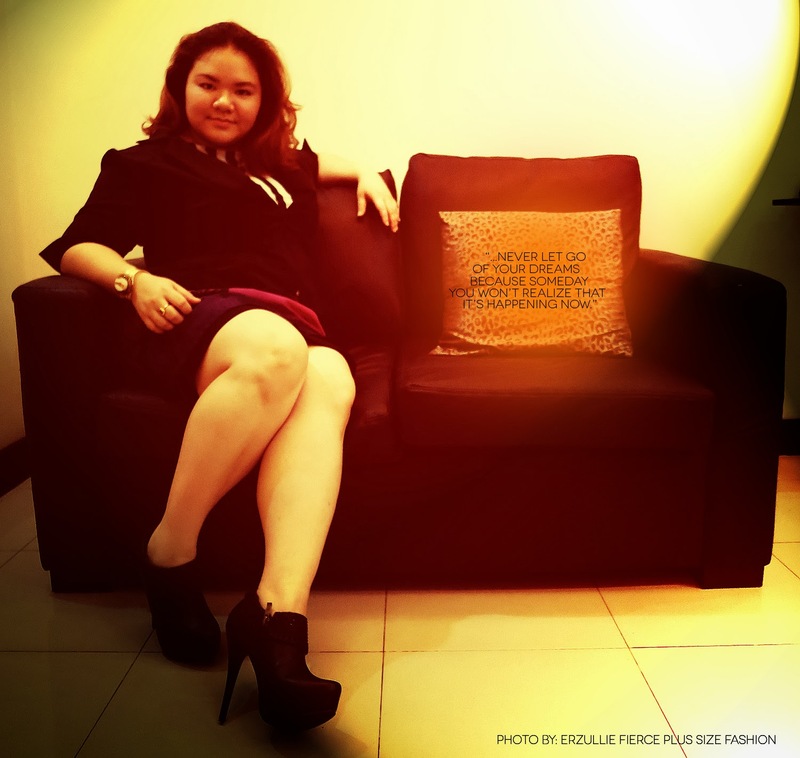 PLUS SIZE MODEL: 3 DAYS LEFT BEFORE #TNEI2013 DEADLINE! Great luck to all the ladies that submitted. We will only be selecting the top 50 entries and emailing them instructions on how to secure (limited) slots. 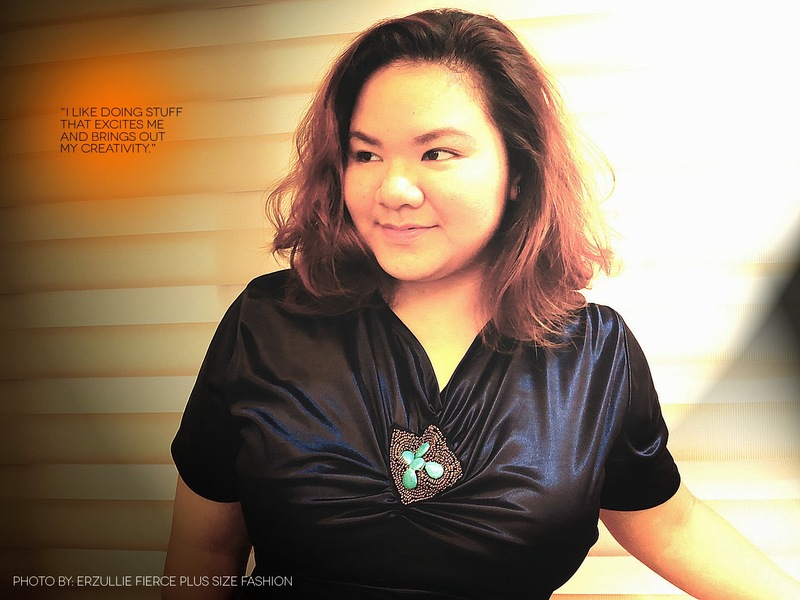 PLUS SIZE FASHION: IT’S GOING TO BE A VERY FIERCE OCTOBER! Attention, fashion sisters! 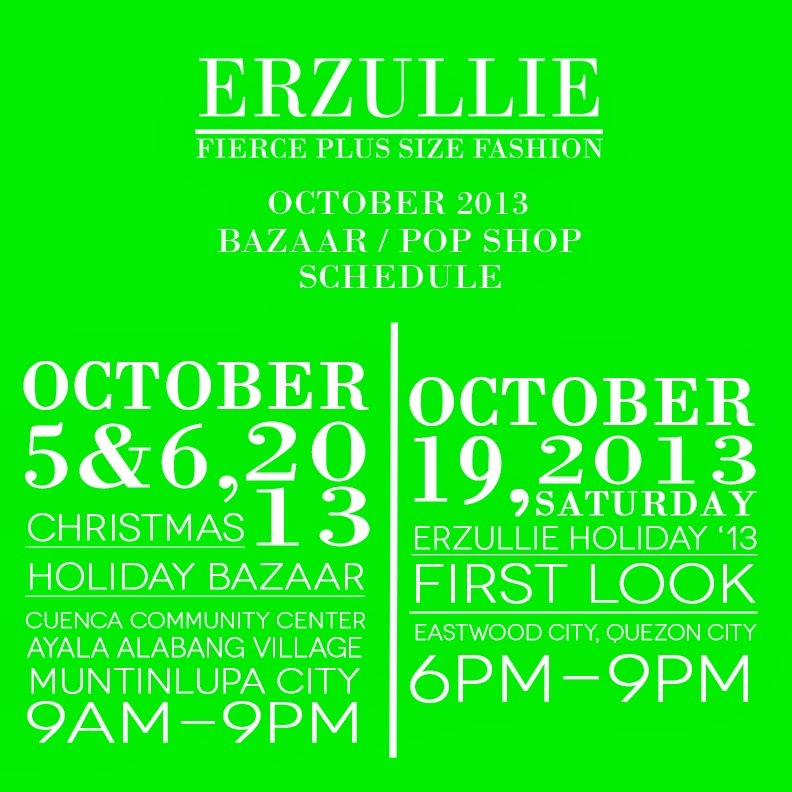 Erzulliestas will be gathering at these events for October 2013! 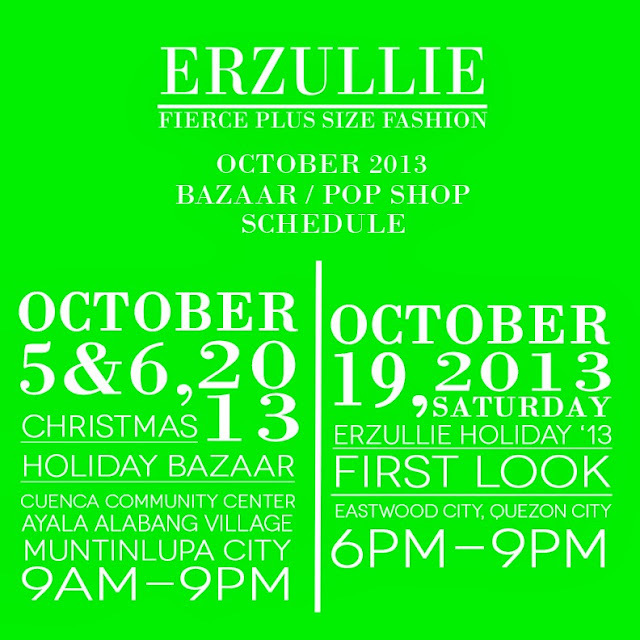 PLUS SIZE EVENT: #ERZULLIE IN ALABANG THIS OCTOBER 5-6! We are so excited to serve Erzulliestas this coming Christmas Holiday Bazaar (#ErzullieInAlabang) on October 5-6, 2013 (Saturday and Sunday; 9am-9pm) at the Cuenca Community Center, Ayala Alabang Village, Muntinlupa City! 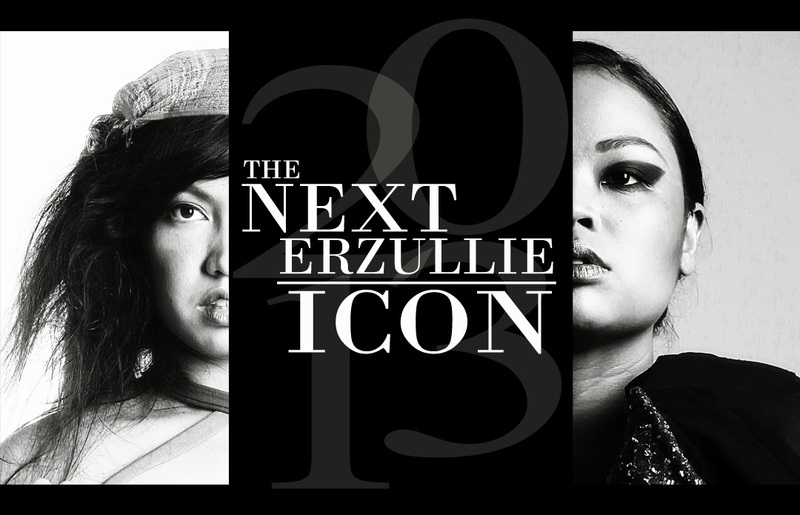 It’s our first time to ever visit this far in the South, so we are very pumped up to see a lot of Erzulliestas there! Go there and shop the latest 2013 collections, 50% off on past items and of course, free personal shopper service! 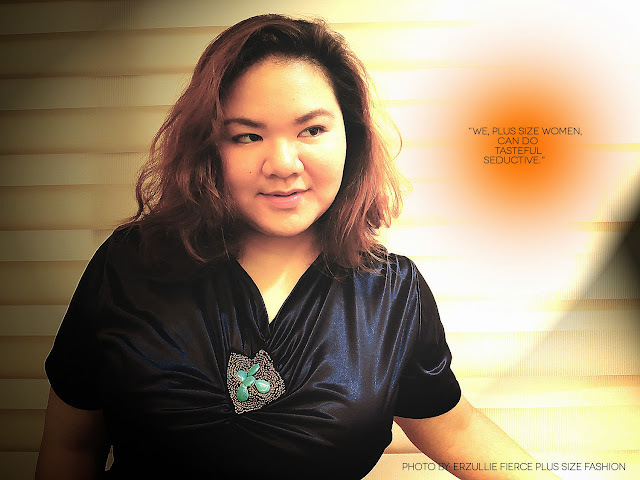 PLUS SIZE MODEL: "MODEL BEHAVIOR: A LOOK INTO KAT CATAPIA'S PROFESSIONALISM"
Kat Catapia just made local plus size fashion history last July 2013 for being the first plus size model to be featured in a campaign with a male model. Exerting some ‘model behavior’ was her secret in handling all the pressure. 1. How does it feel to be part of a campaign like this? Pressured! 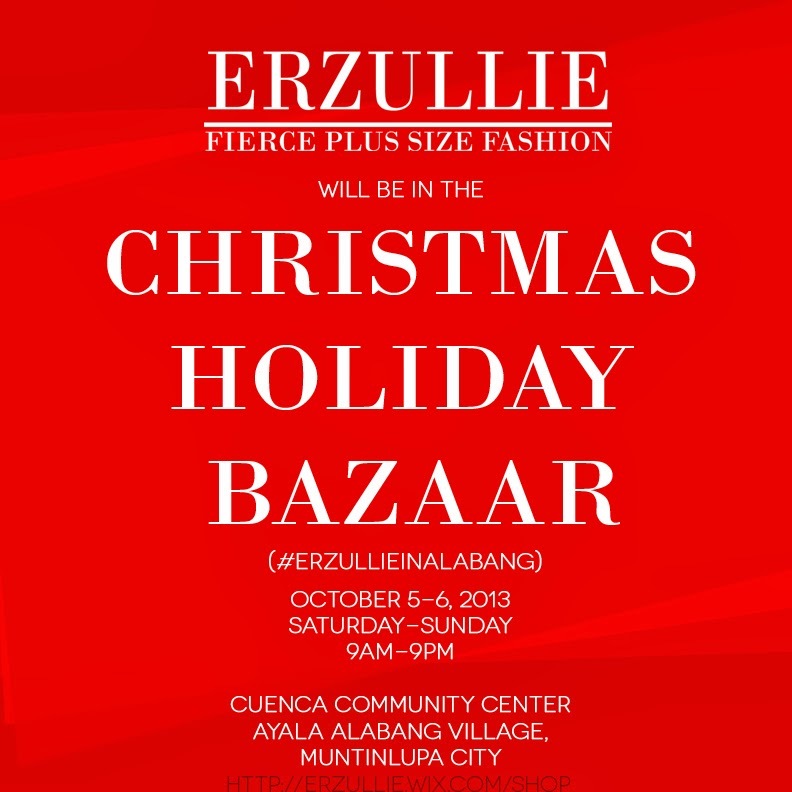 I didn’t know how the Erzulliestas will react, but it’s an advocacy for plus size women to be comfortable with their bodies, feel seductive in everyday clothes and how to move with men (not boys). 2. How did this whole journey start and what was it like? 2-3 years ago, the designers and I were joking about doing a shoot with a male model. This year, they have pushed through and Ms. Aries asked me about it. I like doing stuff that excites me and brings out my creativity. I haven’t had a project like this before and I want to discover more about myself. I was told that the male model will be my friend, Michael Keh. I had to research and internalize for weeks. I even constantly asked the designers if my idea is right so that I can deliver it as how they want it to be. During the photoshoot, I was nervous and shy. I don’t know where I can put my hands without crossing boundaries. Then Michael made me comfortable and I just trusted him with the entire shoot. 3. In the end what are your thoughts about it? I am very happy with the campaign and was delighted to see it. We, plus size women, can do tasteful seductive! The expression of the eyes was so strong, full of passion and desire. This made me realize that we should just trust in ourselves and surprises will come. Don’t overdo confidence because it will become ugly and never let go of your dreams because someday you won’t realize that it’s already happening now.